No buttons to push, no need to install an app on your Apple Watch. Just wear your Apple Watch during sleep. 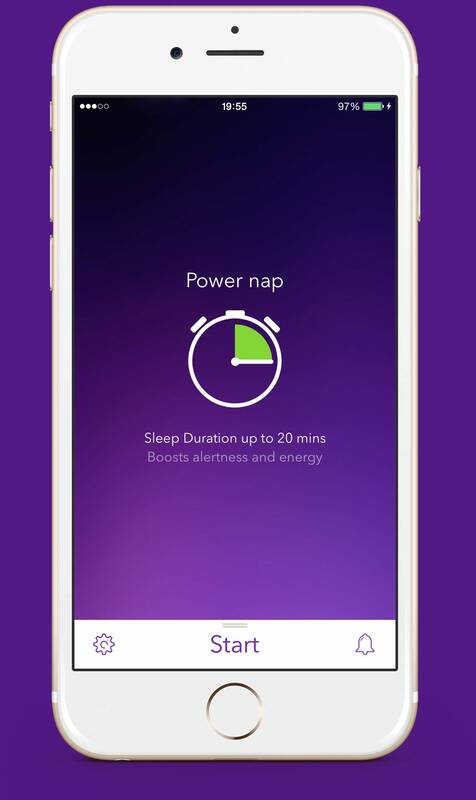 Pillow's Automatic Sleep tracking mode is the simplest way to track your sleep every night. 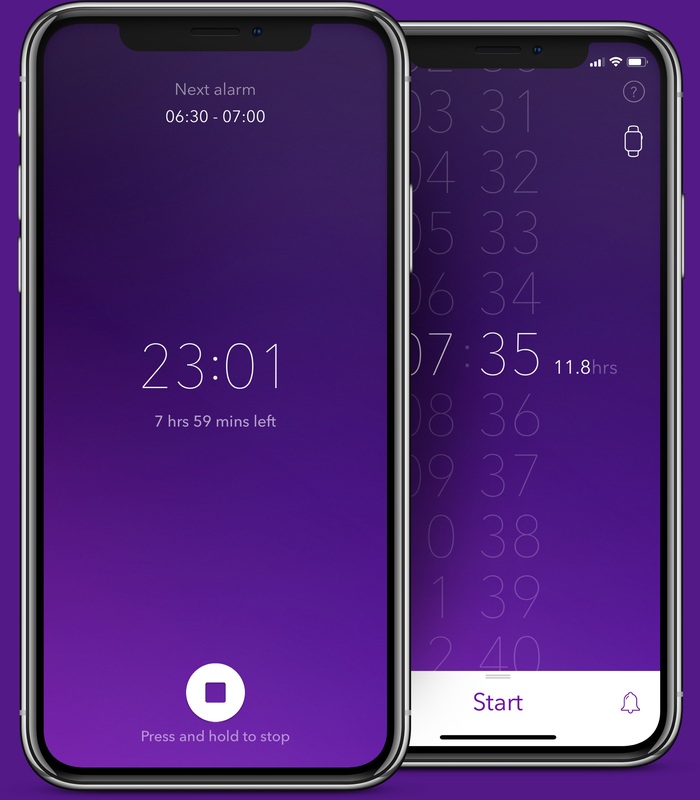 Switch to manual sleep tracking mode if you want complete control of if you want to track your sleep with an iPhone or iPad only. Pillow’s advanced algorithm monitors your movements and heart rate to wake you up at the lightest possible sleep stage. Listen to important audio events during sleep such as snoring sleep talking and sleep apnea. Landscape mode gives you immediate access to incredibly detailed statistics all the way back to your first sleep session. 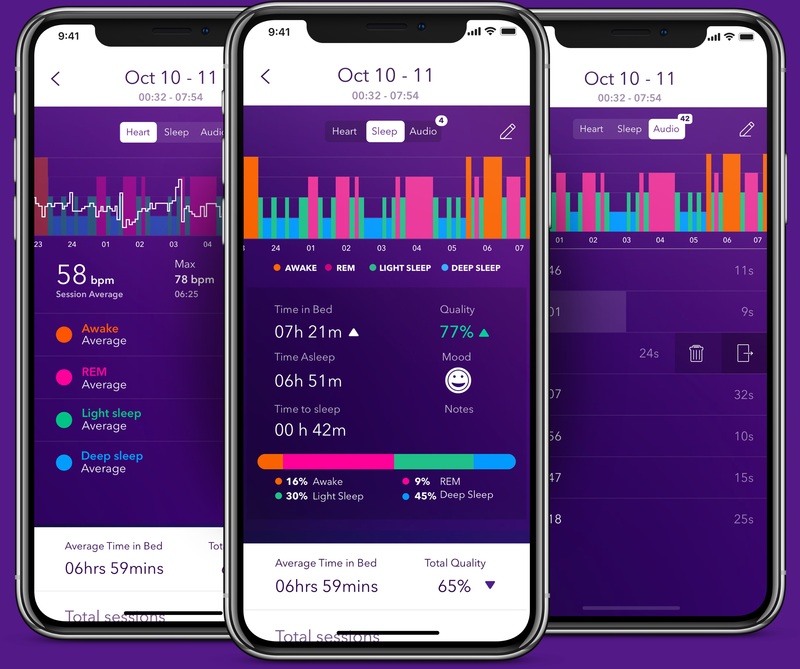 Connect Pillow with Apple's Health app to compare your Sleep quality with various health metrics like your weight, caffeine, blood pressure and more. All your data is securely backed up and synchronized across all your devices with iCloud. Enjoy the benefits of napping. More and more studies indicate that taking short naps during the day can improve your mental operations, performance, reaction times and alertness. Pillow comes with three built-in nap modes along with full sleep statistics and analysis for each session. Personalized experiments, recommendations & sleep tips. Constantly updated with helpful information that will help you make the right decisions to improve your sleep. 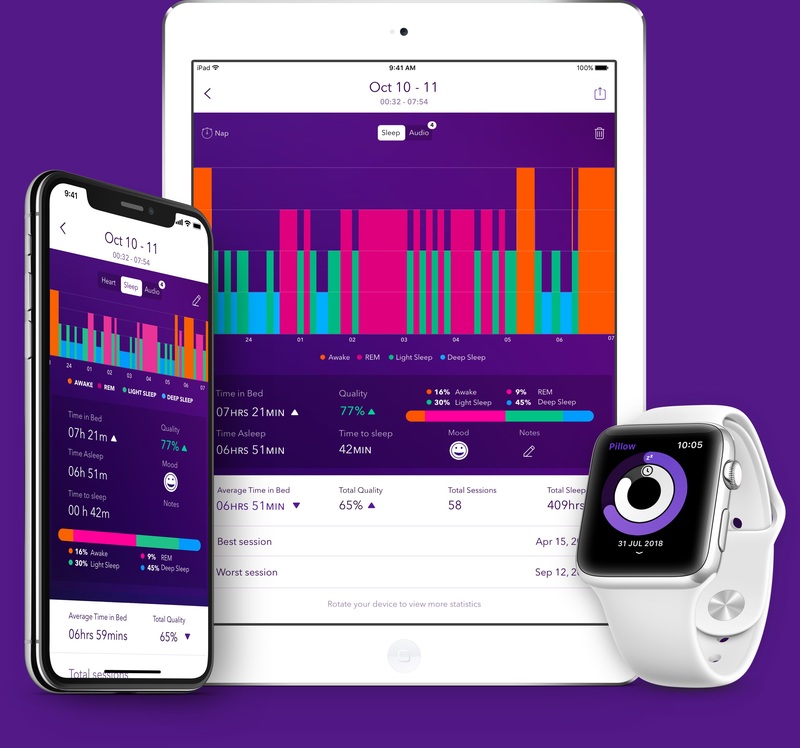 You can now use Pillow track your sleep on your iPhone, iPad or Apple Watch. Pillow will synchronize securely all your sleep data seamlessly across your devices. 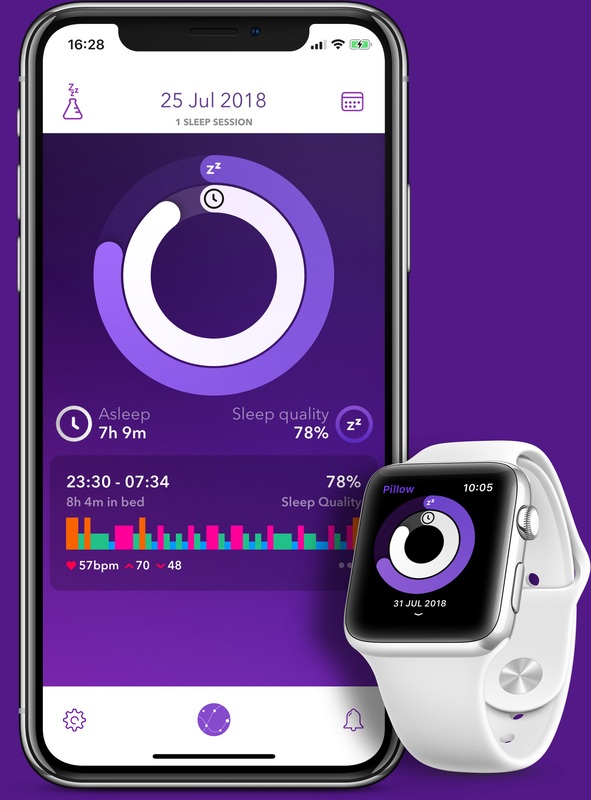 Pillow helps you track your sleep on Apple devices like iPhone, iPad and Apple Watch. Tracking my sleep is easy: my children and cats take turns to wake me up throughout the night. 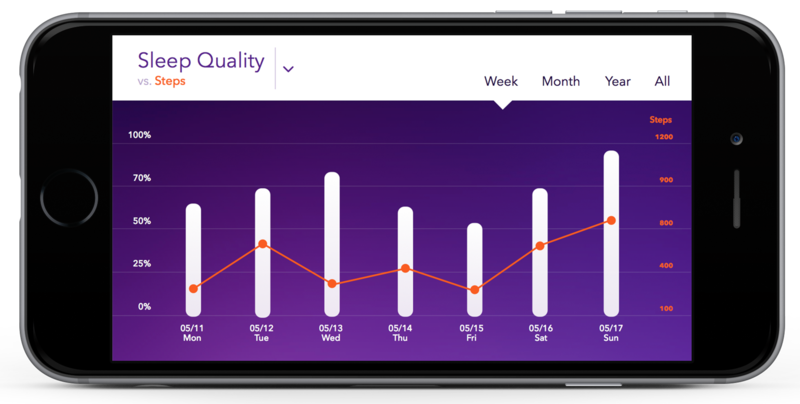 But if you're looking for something more... quantified, then Pillow is well worth a look. [...] gives you great options for setting alarms for naps. Pillow is a great sleep tracker and it's helping me visualize my progress. With its beautiful interface and fun animations, Pillow is very easy to use. Pillow is the perfect app for those who want to know everything they can about the way they're sleeping. 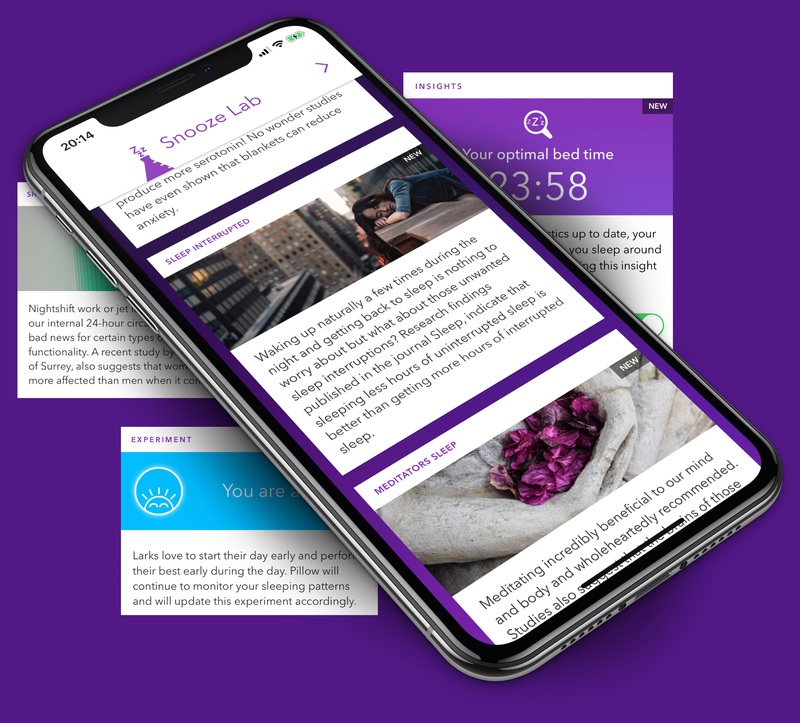 Download Pillow for free and join millions of users worldwide that have used Pillow to discover the benefits of good sleep. Download Pillow for free and join millions of users worldwide that have discovered the benefits of good sleep. We've got exciting things coming up for Pillow. Get the latest news, updates straight to your inbox. We've got exciting things coming up for Pillow. Get the latest news, updates straight to your inbox.